Home / baseball / BPO / Buffalo / Buffalo Bisons / CM / MiLB / schedule / Sports / LAST DAY TO BUY: BPO 4-Packs for July 3rd Bisons home game! LAST DAY TO BUY: BPO 4-Packs for July 3rd Bisons home game! BUFFALO, N.Y. -- You've heard about the all-new 'Fireworks Experience' that will be a part of this year's show. You know the Buffalo Philharmonic Orchestra is going to come to the plate with another great performance of patriotic tributes and pop culture classics. And now, the forecast is coming through with a gorgeous summer night. Tuesday, July 3rd is going to be an unforgettable night at the ballpark. 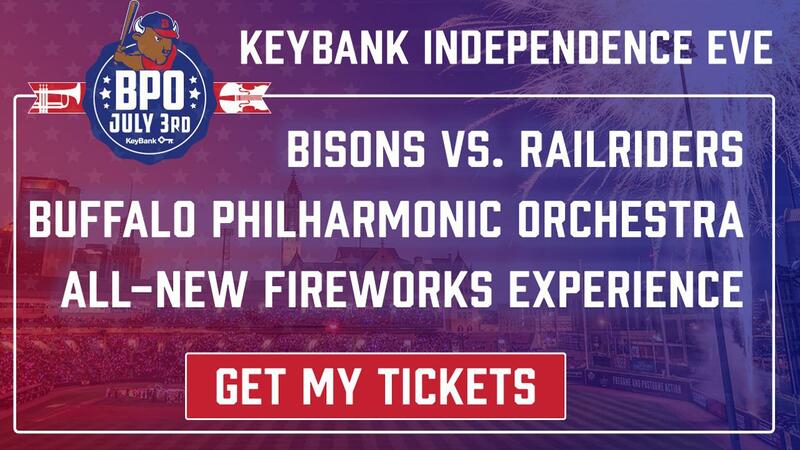 The 24th Annual KeyBank Independence Eve Celebration with the BPO is Tuesday night, as the Bisons host the Scranton/Wilkes-Barre RailRiders at 6:05 p.m. (Gates 4:30 p.m.). There may be no more BPO 4-Packs available, but there are still great seats for you to bring your family and friends to this great summer tradition. Get to the ballpark early, enjoy a great baseball game and make sure you are in your seats for the postgame show. The Bisons have announced that this year's 'Fireworks Experience' is going to be something unlike anything other in the event's history. 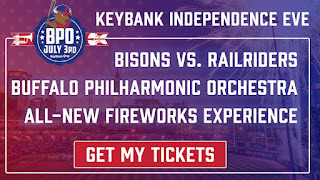 So GET YOUR TICKETS right now and get to the ballpark for the 24th Annual KeyBank Independence Eve Celebration.